As a Small Island Developing State, Barbados has found itself particularly vulnerable to environmental challenges. 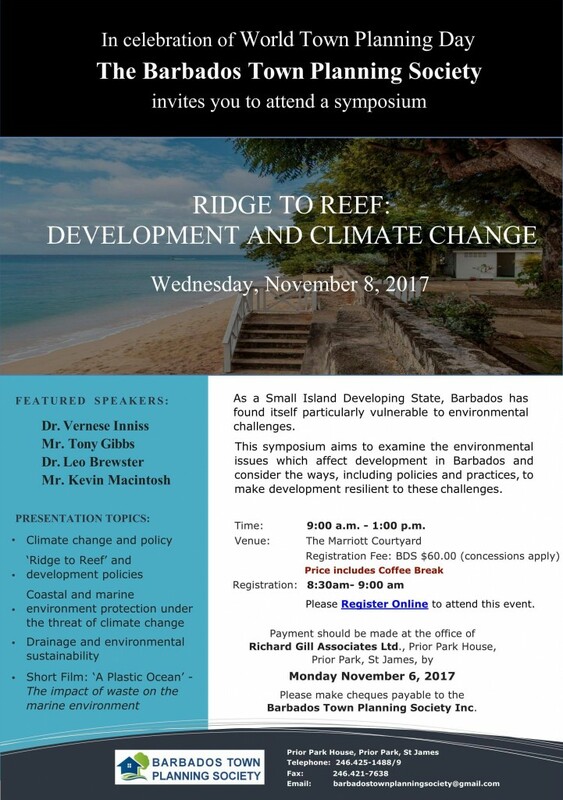 This symposium aims to examine the environmental issues which affect development in Barbados and consider the ways, including policies and practices, to make development resilient to these challenges. Please Click Here to view the Ridge to Reef Report. Next → Next post: 2018 Symposium: Can Barbados Manage a Day Zero When the Taps Run Dry?